Are you an Existing Client of ours? Have you been thinking about updating your family portraits? Did you know Mother’s Day is only FOUR weeks away? 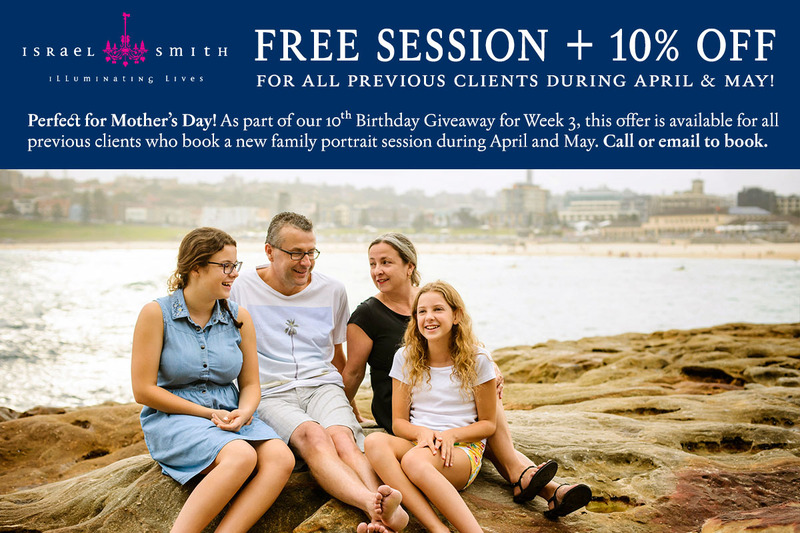 On top of offering Free Portrait Sessions in 2014 for all existing clients (read more here) we’re offering 10% Off All Orders for April and May Sessions! So, are you keen to update your family portraits, pay nothing for your session, and get 10% off your order? Awesome! Email myself or Dorothy and we’ll get you all booked in. Make sure to mention your 10% Off special when you book.